For more than 25 years, the Cooperative Baptist Fellowship has sought to preach, teach and live the truth that the Gospel of Jesus Christ is incompatible with racism, hate and bigotry. CBF has pursued racial justice and community transformation through numerous active efforts, from CBF’s rural development coalition in the poorest counties in the United States called Together for Hope; to helping rebuild neglected minority communities in the aftermath of hurricanes, tornadoes and floods; to helping form and provide leadership to the New Baptist Covenant — a theologically, geographically and racially diverse movement of Baptist organizations working together toward unity and justice; to combating predatory lenders targeting people of color; and to a new partnership with African-American Baptist conventions called the Angela Project, which seeks concrete action toward racial justice and reconciliation through the promotion of African-American prosperity and a focus on public policy and education, poverty and the legacy of slavery. In 2018, CBF commemorated the 50th anniversary of Dr. Martin Luther King Jr.’s assassination with a three-day 270-mile bicycle ride from the steps of the Lorraine Motel at the National Civil Rights Museum in Memphis, Tenn., to the Mississippi Civil Rights Museum in Jackson, Miss. This effort — called Civil Rides— increased awareness about persistent rural poverty in America and advocated for racial justice and healing. Racism and bigotry have been on full display in the United States in the form of tragedies such as Charlottesville in 2017. Certainly, this moment requires more from us as a church and as a nation. Commit to doing something different. Be willing to be uncomfortable for the sake of personal growth and for the sake of our Gospel witness. There will be little progress on the difficult issue of race without establishing authentic cross-racial relationships. The purpose of the Dr. Emmanuel McCall Racial Justice and Leadership Initiative is to create avenues for God’s imperfect church to move toward meaningful unity between racially diverse communities. The Rev. Dr. Emmanuel McCall is a trailblazer who has spent much of his life working for racial justice – as a student, denominational leader, pastor, author and scholar. Additional highlights of McCall’s impact are available via YouTube. There are ways for both individuals and congregations to participate! During the 1960s, Dr. McCall was part of a pioneering team of African American and White pastors who intentionally met regular in Louisville, Ky., to read, study and pray together. The intent of the group was to stave off racial tensions ignited around desegregation. Because of the forward thinking and action of these clergy, the rise of racial conflict was limited in their community. Recruiting African American Fellows from “Covenant of Action” churches and the racial reconciliation peer learning churches. 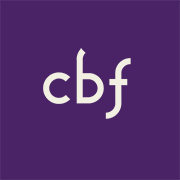 Highlighting the Cooperative Baptist Fellowship’s active participation with New Baptist Covenant, by sharing the story of current churches that have “Covenant of Action” agreements. Identifying and encouraging additional covenant agreements. Information on making Covenants of Action is available here.  Participating as a church in the Angela Project for 2019, which will be hosted on June 19 by CBF in conjunction with the 2019 General Assembly in Birmingham, Ala.
Click here for a downloadable handout on the McCall Initiative. Click here for a downloadable resource on racial justice. You Can Support This Work! Would you consider a gift in support of this important work? Money raised for the Initiative will be dispersed in-full annually and divided equally among the previously announced partners. For 2018, these partners are Simmons College of Kentucky (http://www.simmonscollegeky.edu/) and CBF’s Together for Hope rural poverty coalition (http://www.cbf.net/togetherforhope). September 14-15 — Angela Project Summit in Louisville, KY.
October 15-17 — New Baptist Covenant Summit in Atlanta, Ga.
October 6-20 — Cville2Jtown in Charlottesville, Va. is sponsored by the Charlottesville Clergy Collective, will provide a constructive opportunity to take the next step in addressing racism in America and its attending systemic injustices.